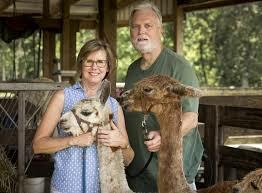 Breeding and raising superior quality suri alpacas in the heart of Florida! Suri alpacas in the heart of Central Florida! We raise show quality suris in a beautiful and peaceful setting on secluded Lake Liaho. 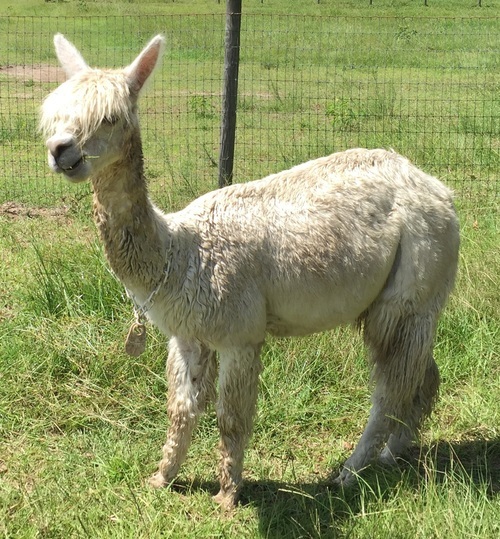 Come and visit a state of the art barn and pasture lay out that is designed to take advantage of cool lake breezes and see a variety of superior quality suri alpacas that thrive in the Florida climate. Our alpacas represent some of the best genetic bloodlines in North America, including Cantano of Peru, Accoyo Libertad, Peruvian Fuego, Mahogany Prince, Suri Lee and Peruvian Meteor, to name a few. To view a live video of Cindy with Shaka, one of our herdsires, click on the following link: http://www.theledger.com/article/20080926/VIDEO/809260470. 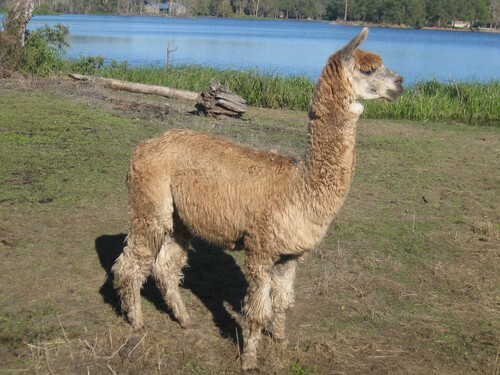 Lake Liaho Alpaca Farm is located just ten minutes off of Interstate 4 between Tampa and Orlando. Disney World in Orlando is thirty minutes to the east, and Bush Gardens in Tampa is thirty minutes to the west. Fantasy of Flight and the Museum of WaterSkiing are just five minutes from our farm! The next time you plan a trip to Florida attractions, stop by for a farm visit and see some of our beautiful suri alpacas. Watching the alpacas and interacting with them is a wonderful addition to any Florida vacation! Financing: Terms are available for packages. Boarding: We offer free boarding for all alpacas sold on our farm for up to six months. 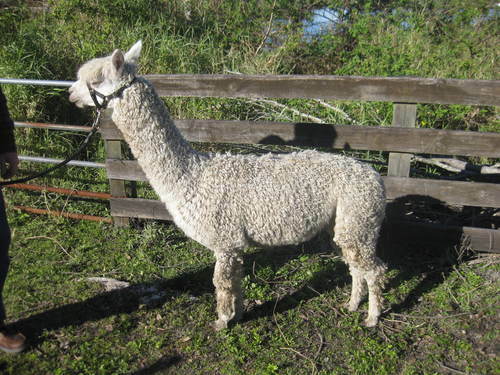 Not ready to have alpacas on your own property? We will agist (board) your alpacas here for 3.00/alpaca/day. We will market and show your alpacas for you, giving them the same excellent care that we give our own alpacas. Guarantees: Pregnant females are sold with a 7 day live birth guarantee. Breedings: All females are sold with one free breeding or re-breeding to any herdsire that is owned by Lake Liaho Farm. Suri alpacas in the heart of Central Florida! We raise show quality suris in a beautiful and peaceful setting on secluded Lake Liaho. 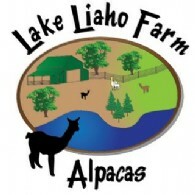 Come and visit a state of the art barn and pasture lay out that is designed to take advantage of cool lake breezes and see a variety of superior quality suri alpacas that thrive in the Florida climate. Our alpacas represent some of the best genetic bloodlines in North America, including Cantano of Peru, Accoyo Libertad, Peruvian Fuego, Mahogany Prince, Suri Lee and Peruvian Meteor, to name a few.